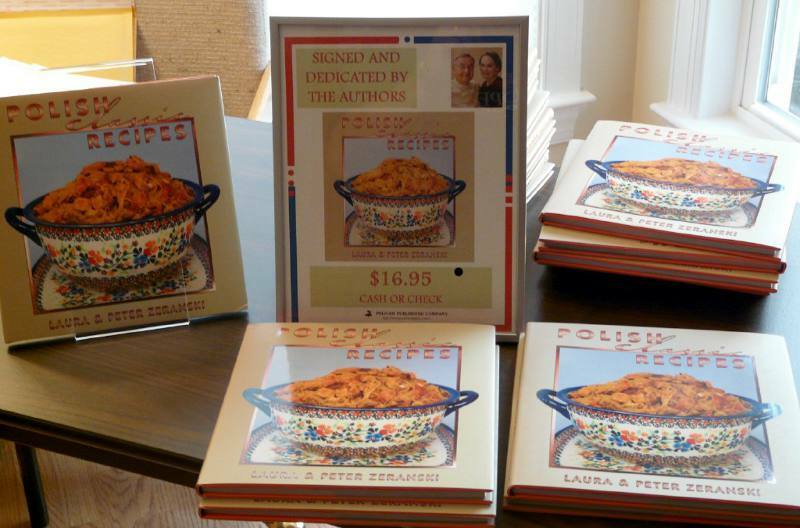 Polish Classic Cooking: An exciting shipment plus our favorite zapiekanka recipe! An exciting shipment plus our favorite zapiekanka recipe! Witamy! 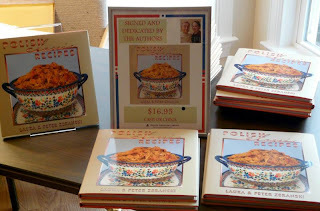 Laura and I are happy to report that the first shipment of our new Polish Classic Recipes cook book was just delivered. Opening the carton was like watching our baby being born (I guess Laura wouldn’t agree), but it was very exciting nonetheless. A few copies are being sent to family and special friends who supported us throughout the process. I’m sure that Matthew Aron Roth (our photographer) and Dan Dalcin (our food stylist) will be excited to get their copies as well. But first we had to figure out how to sign them because there’s not a lot of room on the title page and we’ve never signed books before. It’s all good. We already have several book signing events on the calendar (see schedule on the right) with more in the works. We’ll be away for a while on a vacation, but fresh blogs will be posted while we’re on our cruise. One of our Twitter tweeters tweeted (phew) a request for our favorite “zapiekanka” which is Polish for casserole. There are many we enjoy, but our go-to dish is a crispy ham and noodle casserole that’s always been a hit for more than 50 years. My Mom used to make it all the time after Easter and Christmas to use up the left over ham. And it works with kielbasa just as well. The original version is in her iconic book The Art of Polish Cooking (still available on Amazon) but over the years, Laura has put her own twist on it. Smacznego! Mix the cooked noodles with the meat, butter, green onions and the dill. Place in a greased 2 quart casserole dish. Mix the breads crumbs with melted butter and the cheese. Sprinkle the mixture over the top of the casserole. Bake in a 350 degree oven for 30-35 minutes until crumb topping is golden brown and the noodles and meat are heated through. *The amount of meat may be increased based on personal preference. **The type and amount of cheese may be changed or eliminated based on personal preference.